anyone else notice how quickly SOE goes through people. I enjoy the game, but would never work for that company. Aww, I loved donna’s spirit. I wonder if Bally’s couldnt get them a non-October timeslot again, and they learned how bad a out-of-summer event was to schedule travel. I did not like the October time slot at all. I think the rubbish food at Ballys, double booking us with another event that led to room conflicts, and piss poor sound quality at the venues were all factors. so i wonder why she lost her job, did she quit or was she fired? 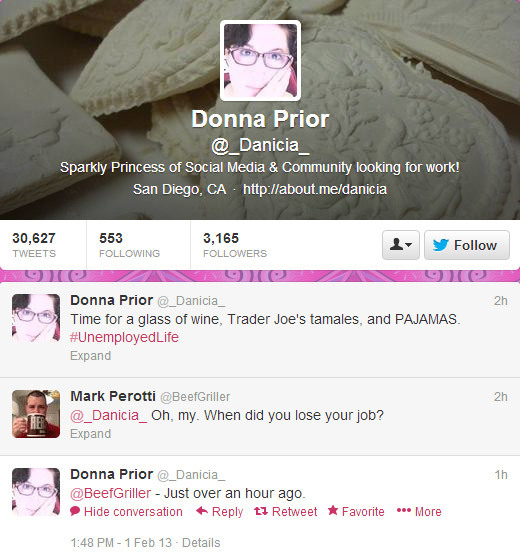 Given the twitter conversation, it seems clear she was laid off/fired. The Soelive page lists Planet Hollywood and August 1st to 4th. i wish they would bring it back to Atlanta like we had in 2006. Las Vegas is just so far for me to drive. We don’t fly. If you look at the SOE Live website the location and dates are listed in the banner at the top of the page. Looks like it will be at Planet Hollywood, August 1st through the 4th. They need to have it someone where in the middle of the country, like Denver, Dallas, St. Louse. Or maybe even rotate it from west to center to east. Give people like Badcat that don’t like to fly a chance to go once in a while. The vast majority of the SOE employees who attend Fan Faire SOE Live are bused there from San Diego. Changing that to flights ($200 a person x 150 people) would require a dramatic increase in the price of the ticket for each attendee. community manager is a stressful job. “Sparkly princess” probably had no chance against the tough catering manager at the hotel, my SO (who is very competent and tough) put on an event at a hotel on the strip and it was an extreme amount of negotiating to get things right, and they still charged $14 a person for coffee and a donut. Although I think if she was being fired for her performance at SOE Live, it would have been long ago, not in February? She was also the community manager for Bullet Run which will be shut down soon. I guess with all the cost cutting going on at Sony and SOE, they didn’t want to keep her on board just for that social media “thing”. It need not have anything to do with performance at all, just being in the wrong position at the wrong time. We’ll never know because it’s SOEs policy never to say anything more than “he/she is no longer with the company” or “he/she has been reassigned to project X”. It’s tough to get laid off, no matter what the reason, I wish her the best of luck. Bulletrun… i didn’t get its market with planetside 2 coming out and all. but it was a neat niche game free to play as it was… hard to believe it got sunsetted that quick. @Kwill: So do I. Coming from a country with very high standards of lay-off protection, I hate to see “hire and fire” in action…but there are certainly far, far worse offenders in this regard than SOE. Good luck Danicia! Bulletrun is an interesting niche game indeed. I tried it in beta but…wasn’t it pay to win? That’s probably what killed it. With so many pay-once and free-to-play-pay-only-for-fluff games on the market…why bother? It certainly deserved its chance, but if the threads on the official forum are correct there were so few players that you would often get mostly the same players every time you random matched up. 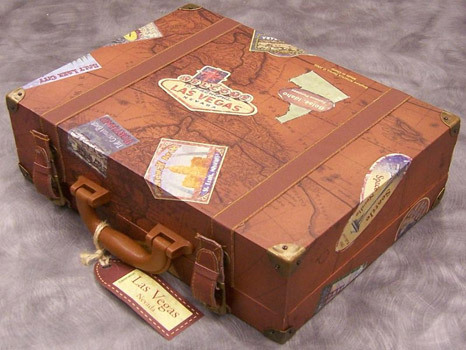 It has the most rooms, the most places to eat and entertain yourself, a much more stable (forecastable) weather pattern, historically the lowest travel expenses (next to orlando). There is gambling, buffetts and shows year round. Its a good place to meet people and do things. I call Vegas Disneyland for Adults. With the same prices, just about! Wonder if Danica’s recent loss of a job has anything to do with the recent leak of the Fan Faire 2013 Info a week before SoE was ready to make the announcement?